Maya People and other Indigenous nations have lived for thousands of years in Mesoamerica with their own systems of government, justice, health, education and spirituality. Invasion from the Spanish colony not only meant, for those peoples, a forced subjugation to a foreign system, but it also meant a shift in their spiritual practices. There is evidence of this in that 92% of Guatemala’s population is Christian and only 4% is Maya, when there is a population of 60% Maya. Fortunately, this 4% have not forgotten a long-practised spirituality based on their connection to earth, everything that lives in it, and the spirit world based on the daily use of the Cholq’ij Calendar. 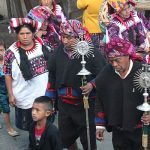 In recent decades, Maya ancestral spiritual leaders and practitioners have organized to have more access to Maya spiritual sites in former Maya cities (also known as archaeological sites) to continue their tradition and healing practices. Part of the struggle has also meant lobbying congress to pass a bill regarding access to sacred Maya sites nationally. This presentation will focus on the present connection between the contemporary Maya and their sacred temples through spiritual ceremony. 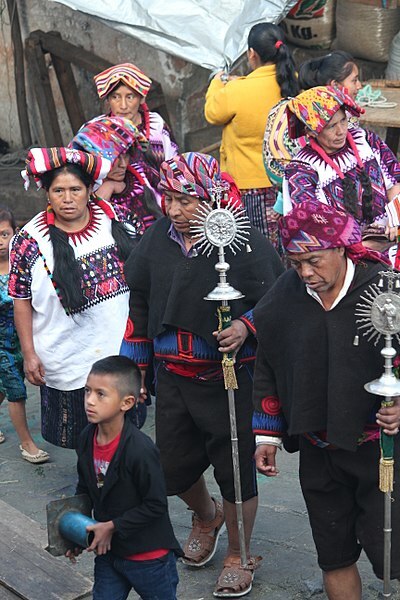 Avexnim Cojti Ren will also speak on the ways that Maya peoples are struggling to have Guatemalan State recognition of their cultural rights and spiritual practices as distinct nations. Avexnim Cojti Ren is President, Association of Maya Spirituality for Development, and Project Manager/Radio Producer for Indigenous Rights Radio Program, Cultural Survival. How important to the present are people and things from the past? This lecture and discussion series invites speakers from a range of disciplines—including archaeology, cultural activism, anthropology and sociology—to discuss the role of the past in the present. Speakers will pay special attention to the ways by which Indigenous and non-Indigenous peoples consider and activate their cultural pasts in their contemporary lives. The Living with the Dead series will culminate in an exhibition at the Museum of Anthropology, UBC, which opens in May 2018 and will display contemporary art from across Latin America to illustrate how the past may be imagined, represented and politicized. Living with the Dead is co-sponsored and co-hosted by the UBC Museum of Anthropology.